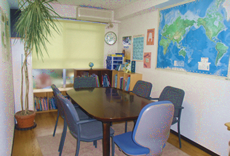 LEAD ENGLISH was established in Hatsudai, Shibuya Ward in 2000. 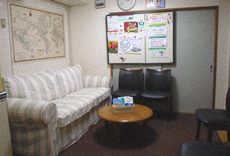 Lead is a language school which offers quality language lessons taught by experienced and qualified native English speakers from Canada, America, England and other countries. We are able to individually design your lessons and support you in the development of your communication ability. My name is Michael William Davis and I am the owner of LEAD ENGLISH language school. 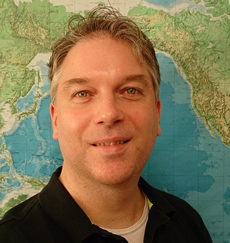 Born and raised in Ottawa, Canada, I moved to Tokyo in 1994 to continue my teaching career in a new country. 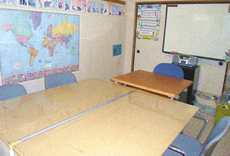 When I opened LEAD ENGLISH in Hatsudai on May 8th, 2000, I wanted to help and support my students who were reaching for positive and prosperous futures. I chose the name ‘LEAD ENGLISH’ as I wanted to lead my students into a more communicative and international world. English is a tool for this end. Without clear and proper communication businesses will not be able to enter other markets in the world; without clear and proper communication people will not be able to navigate effectively in foreign countries and cultures. English, as the language of international communication, is an integral communication tool for living in our world today. I look forward to assisting you in the development of your English abilities and communication skills. Do not be afraid of making mistakes as mistakes are the seeds of growth. Take that first step and open the door to your future.